There are about 10 million U.S citizens living with noise-induced hearing loss. As you may have guessed, noise-induced hearing loss is impaired hearing as a result of prolonged exposure to loud noise. Sadly, a large number of NIHL cases are preventable. We are all exposed to sound on a daily basis, including sounds from household appliances, traffic, radios, televisions, and computers. These sounds are usually harmless—however, when sounds are too loud and when that loud noise is long lasting, it can lead to permanent damage. This is because the noise damages sensitive structures in the inner ear. Some people notice noise-induced hearing loss right away, while others find that it takes much longer to develop. There are situations where the hearing loss can be temporary, but it can also be permanent and impact both ears. Unfortunately, some people don’t realize that they are in the process of damaging their hearing. Noise-induced hearing loss can affect anyone at any age. Exposure occurs in many different places, including work, recreational settings, and even at home. 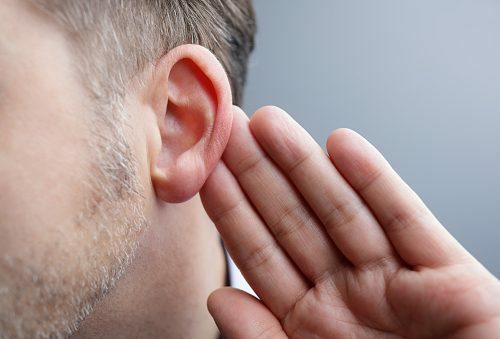 A study conducted by the Center for Disease Control and Prevention a few years ago showed that six percent of Americans under the age of 70 have hearing loss. Researchers have also said that about 17 percent of teenagers have features that suggest NIHL is present in one or both ears. So what sounds cause NIHL? The reality is there are all kinds of sources. Target shooting and hunting have been known to cause NIHL, as has snowmobile riding, woodworking, playing in a band, and attending rock concerts. There are also people who experience NIHL following a one-time intense sound, like an explosion. The loudness of sound is measured in decibels. A humming refrigerator is 40 decibels. Firearms and firecrackers can be as high as 150 decibels. As it turns out, sounds less than 75 decibels are capable of causing hearing loss. If a person has damage as a result of NIHL, they could experience further hearing loss as they age. If someone is diagnosed with tinnitus, they could experience symptoms constantly or on an occasional basis throughout their lifetime. Impulse noises, which are sudden, sharp, and continuous noises may only cause temporary hearing loss. This temporary hearing problem is referred to as threshold shift. The American Hearing Research Foundation sums up the cause of noise-induced hearing loss by simply stating that it involves the intensity of sound, frequency of sound, and duration of sound. We have already mentioned how a one-time, impulse exposure like a sudden explosion can lead to NIHL, or how continuous exposure to loud noises for lengthy periods of time can lead to hearing problems. Lets now take a look at some of the most common causes. Although all of the above are measured in decibels, no one expects you to stop and measure decibels everywhere you go. What you need to remember is that the distance you are from the source of noise and the length of time you are exposed to that noise can make the difference between hearing and not hearing in the future. How does loud noise damage our hearing? Sound waves in the air turn into electrical signals, and these signals are carried by our auditory nerves to the brain. The waves travel through the ear canal, leading to the eardrum. When this happens, the eardrum vibrates and sends the vibrations to tiny bones that are able to convert the sound from air to fluid vibrations in the cochlea of the inner ear. When the vibrations cause fluid in the cochlea to ripple, a wave develops along an important ear membrane. The hair cells that were alluded to earlier sit on top of the membrane and ride the wave. When the hair cells move up and down, chemicals rush in to create an electrical signal. It is the auditory nerve that carries that electrical signal to the brain, where it is translated into sound that we recognize. When these hair cells are damaged, it leads to noise-induced hearing loss. Birds and amphibians have hair cells that can grow back, but humans do not. Once those hair cells are dead and gone, they are gone forever. A doctor can conduct a basic hearing test to determine if you have any hearing loss. If the test shows that you do have a problem with hearing, you will likely be referred to an audiologist. This is someone who specializes in ear care and hearing loss. Alternatively, you could be sent to see an otolaryngologist, someone who is specially trained in ear and hearing disorders. Testing conducted by specialists can help determine the degree of hearing loss and identify which frequencies (sound pitches) you have trouble hearing. Some people can experience hearing loss at high frequencies like birds chirping, while others have hearing trouble with low frequencies, such as when a bass drum is being played. If you are having difficulty hearing in crowded places or find it hard to talk with people on the telephone, you should get a hearing test. Of course, there is no cure for permanent hearing loss. Treatment for partial hearing loss focuses on avoiding exposure to noise so that the level of impairment does not get worse. Thankfully, there is some equipment that can help people hear better. It will depend on the degree of the hearing loss, but some people benefit from using a hearing aid. This is a device that you can wear in your ear that magnifies sound. There are those who suffer from severe hearing loss and qualify for a cochlear implant, which is an electronic device that replaces the inner ear with a series of electrodes. The electrodes are surgically implanted in the inner ear and provide sound signals to the brain. If you are aware of noise hazards, you have the ability to protect your hearing. The following noise-induced hearing loss prevention tips can start you off. People who suffer from noise-induced hearing loss often feel isolated because working and socializing becomes a challenge. Some people who experience signs of hearing loss ignore them because they simply don’t want to admit to themselves that there is a problem. The best way to cope is to first acknowledge the hearing loss, then take action to preserve what hearing you still have. The sooner you act, the better chance you have of slowing progression of possibly permanent, full hearing loss. Recent research suggests that hearing loss is linked to cognitive problems, including dementia. In other words, if you suffer from noise-induced hearing loss, you are more likely to have cognitive problems at some point. Just like our eyes provide a view of the world, our hearing gives us perspective on everything around us. It helps us go about our daily lives, including working, playing, socializing, and communicating without limitations. Good hearing also helps to keep us safe since it warns us of possible dangers. Protecting it should be a priority.